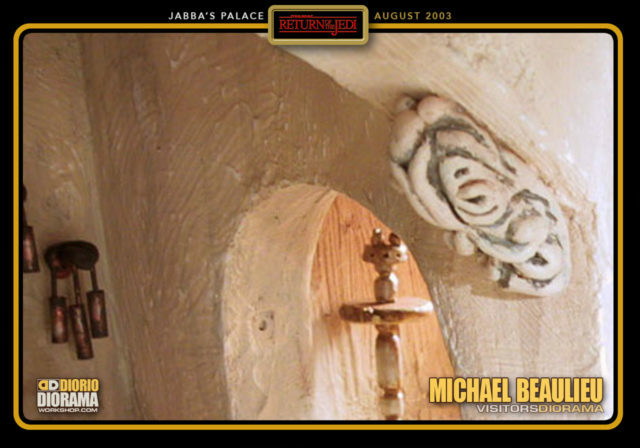 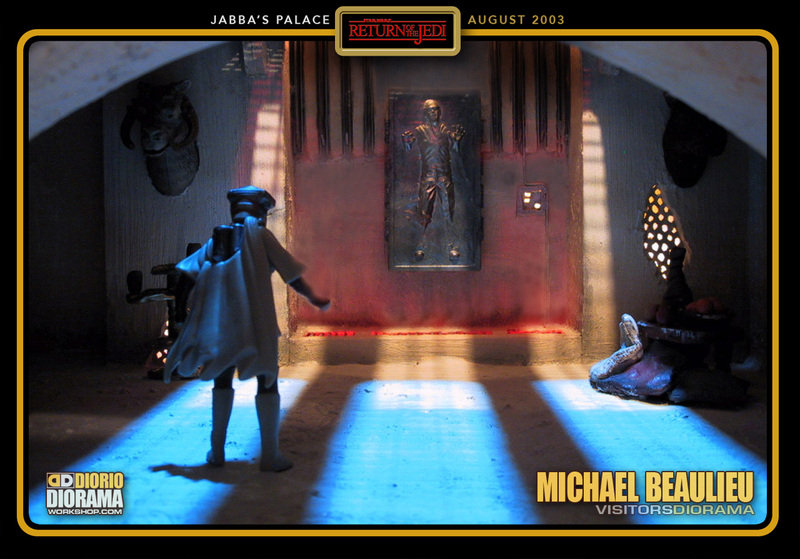 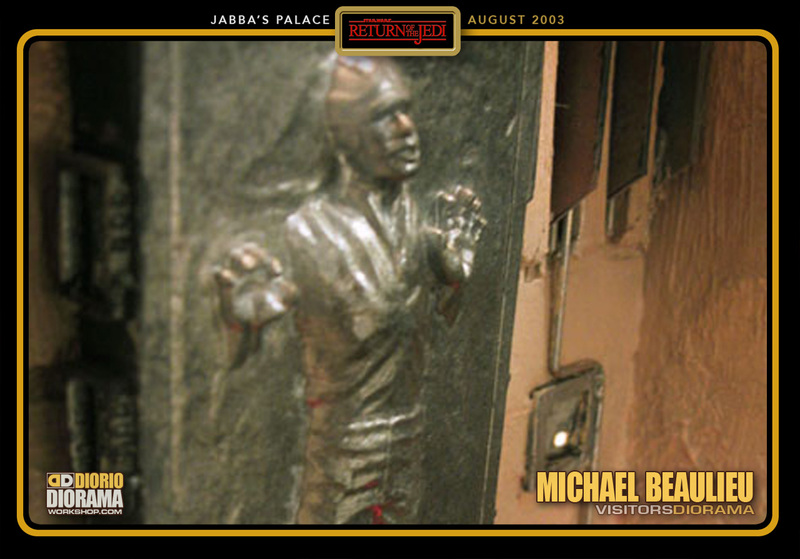 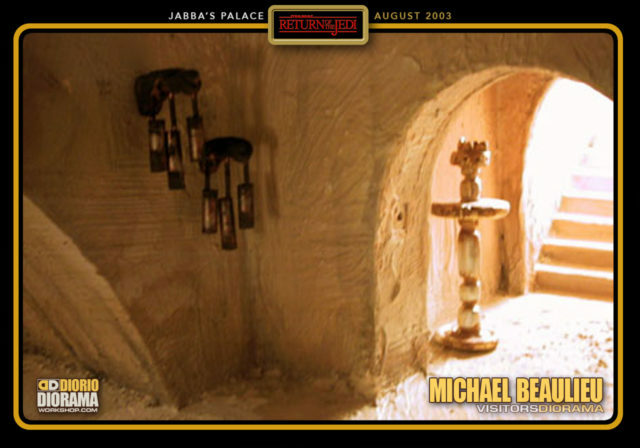 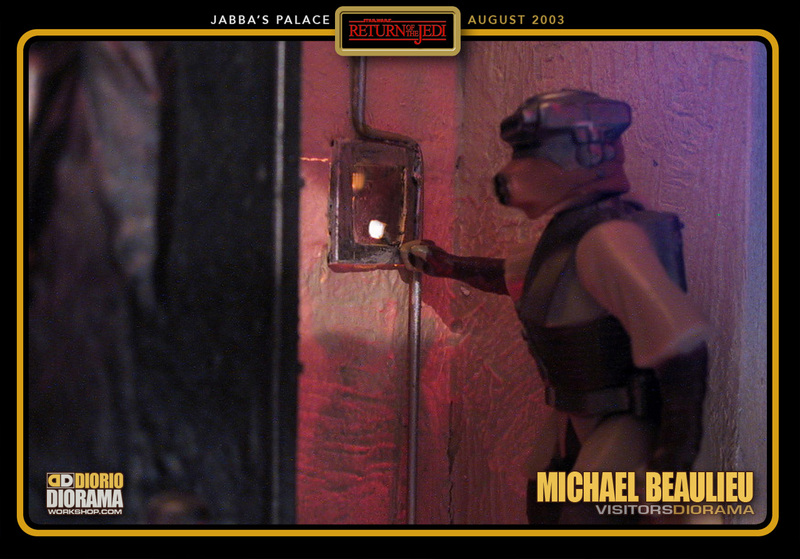 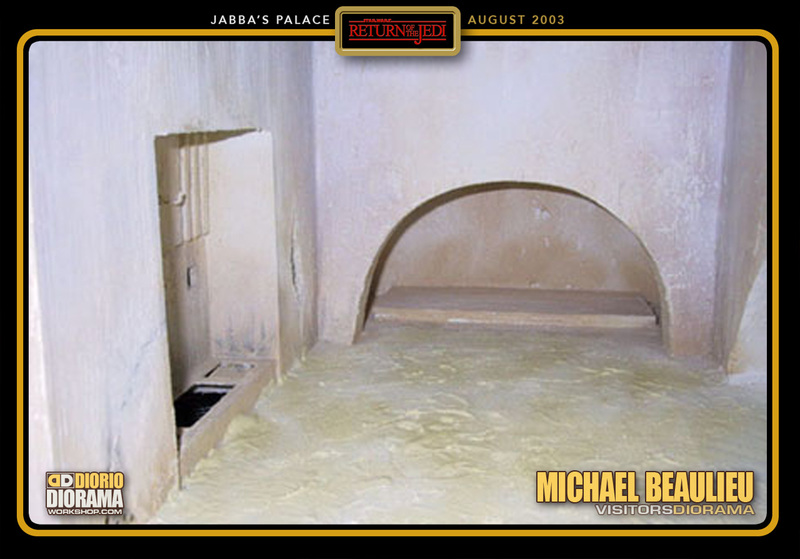 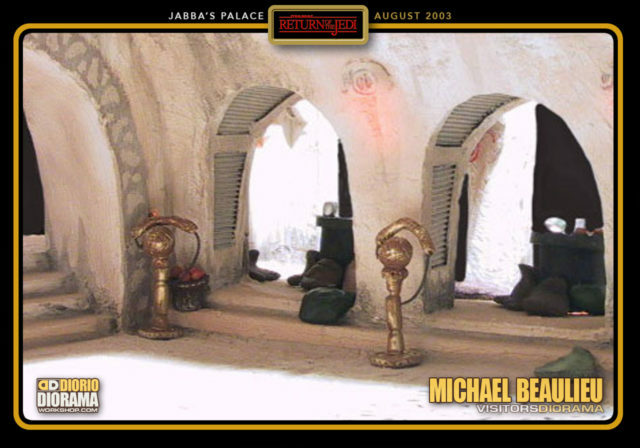 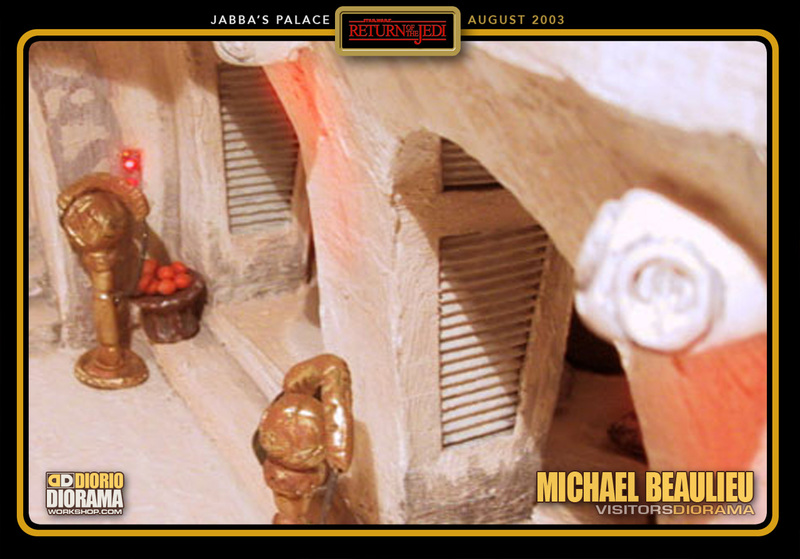 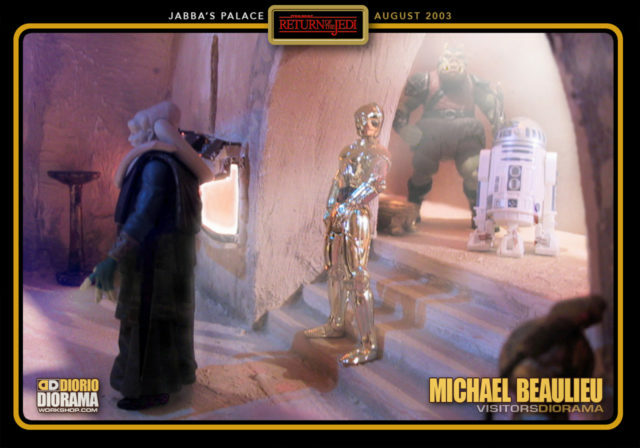 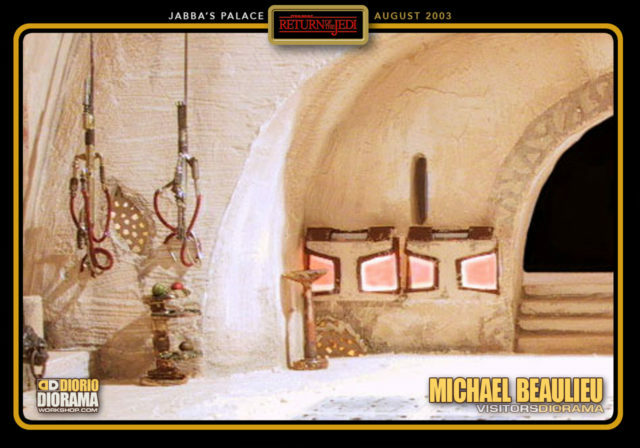 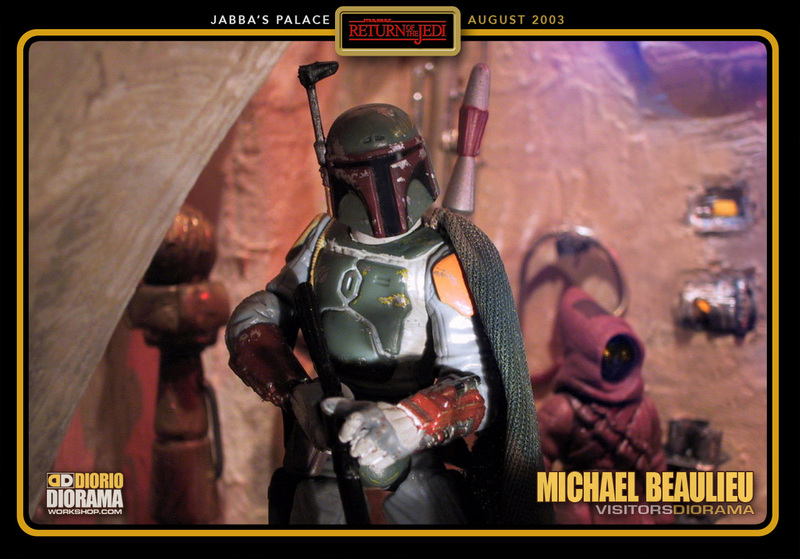 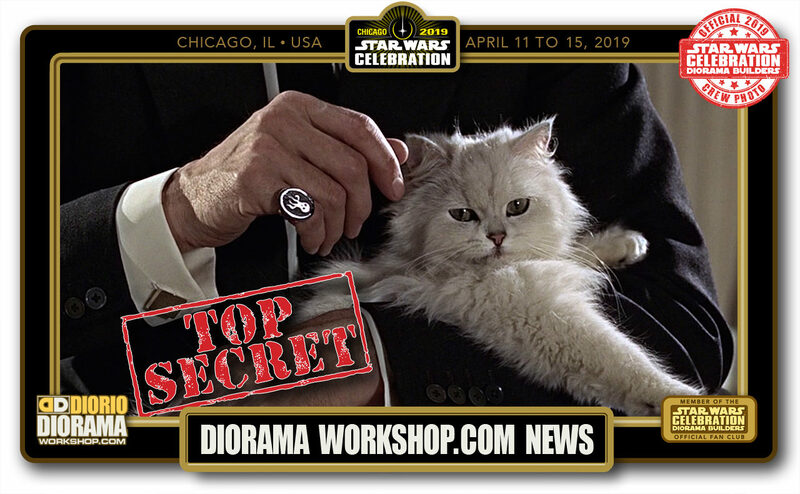 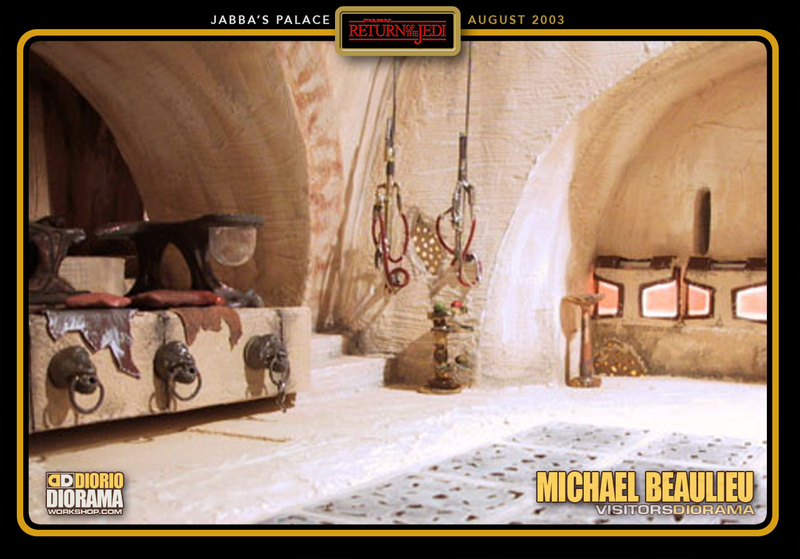 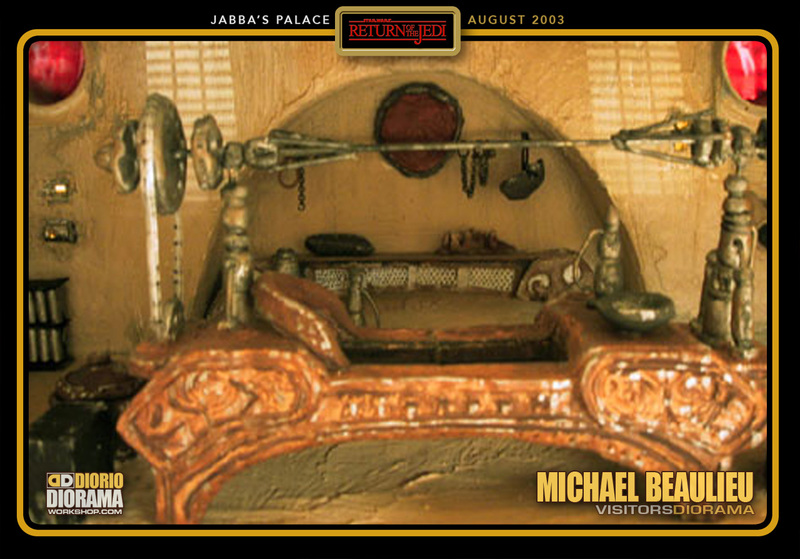 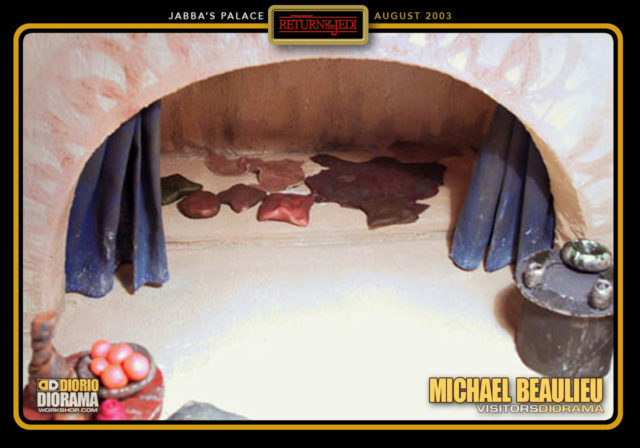 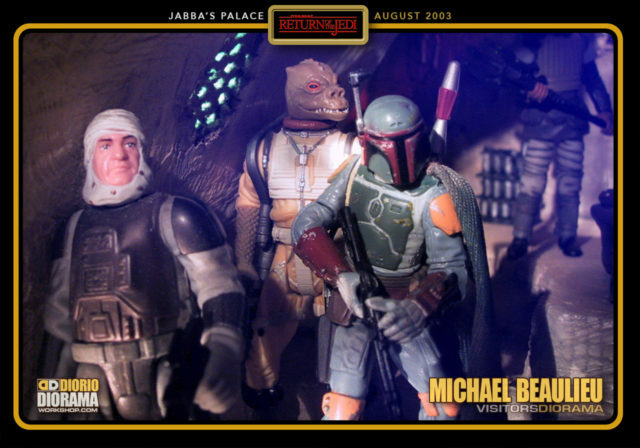 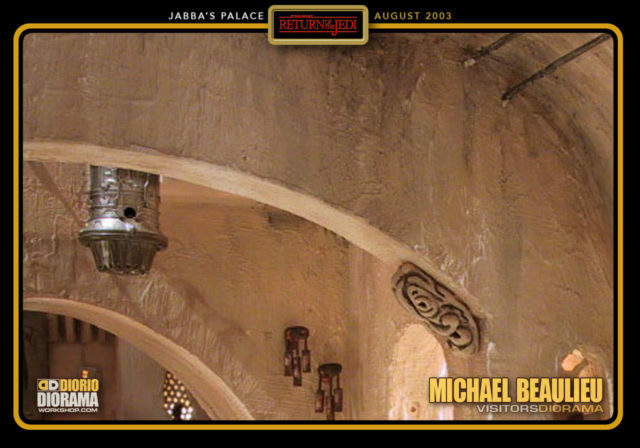 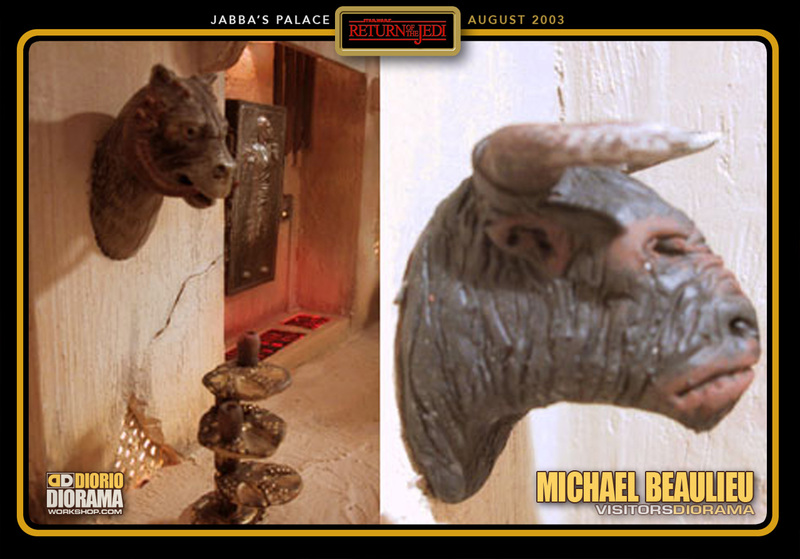 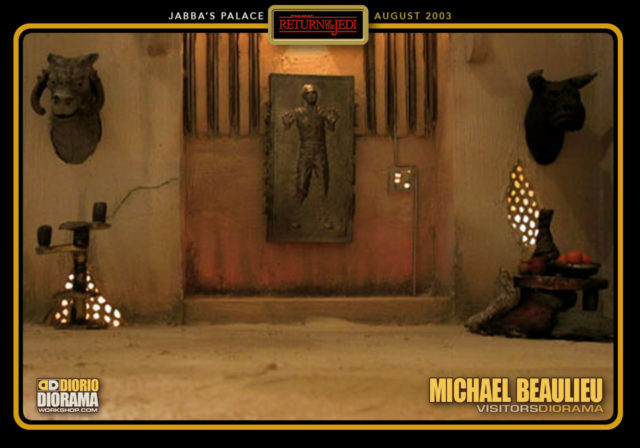 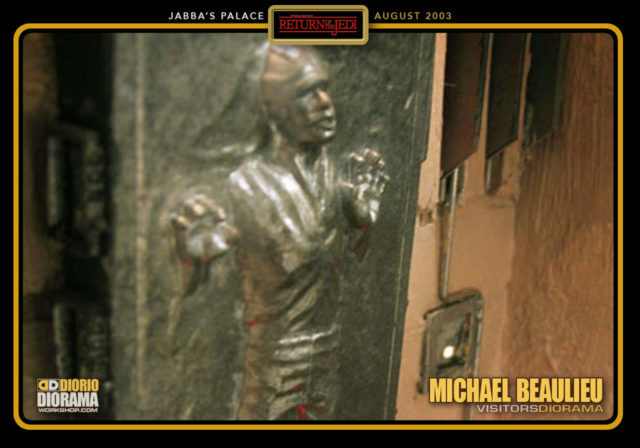 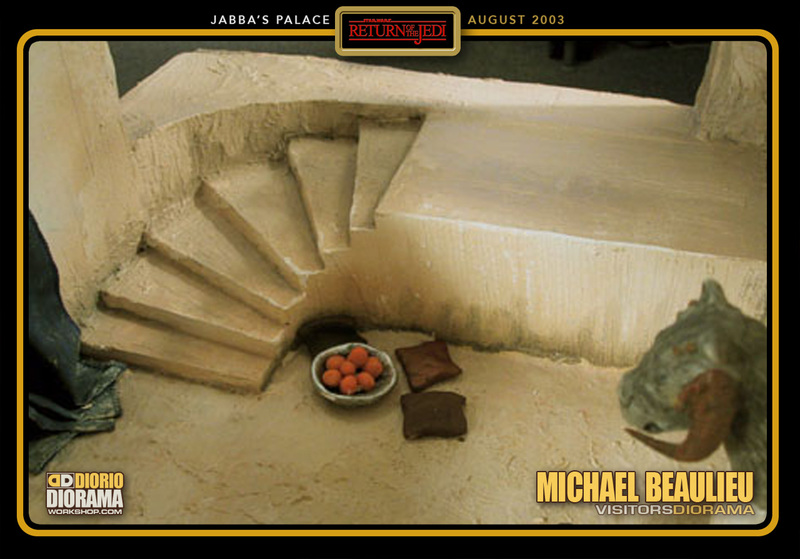 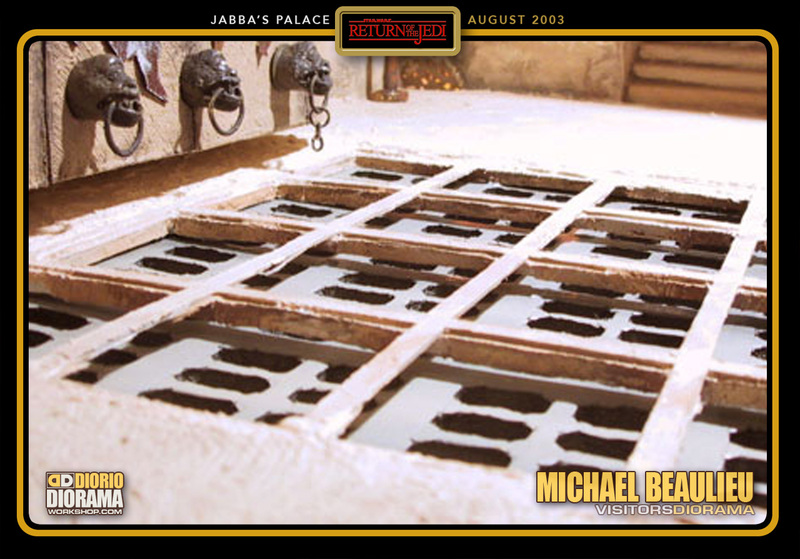 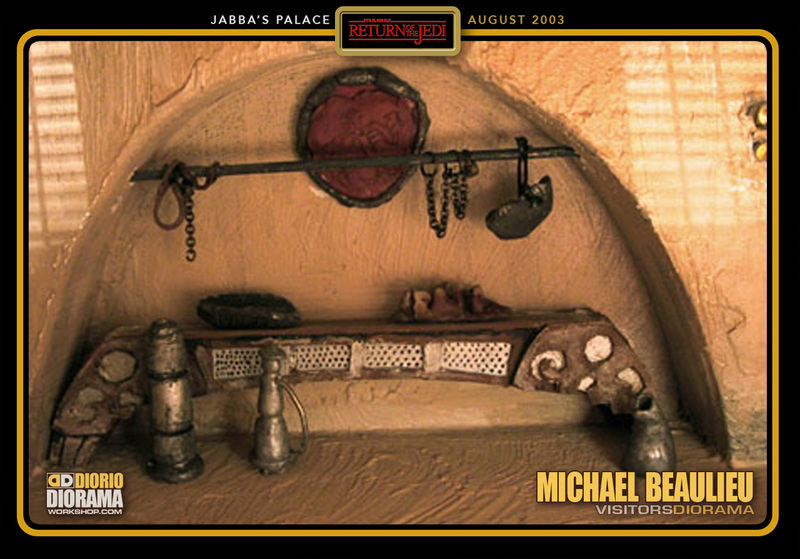 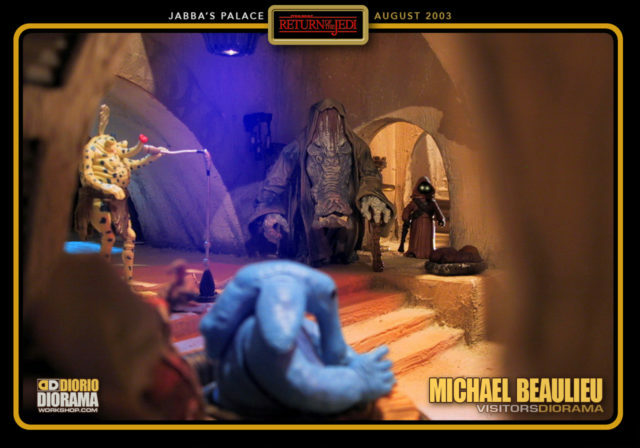 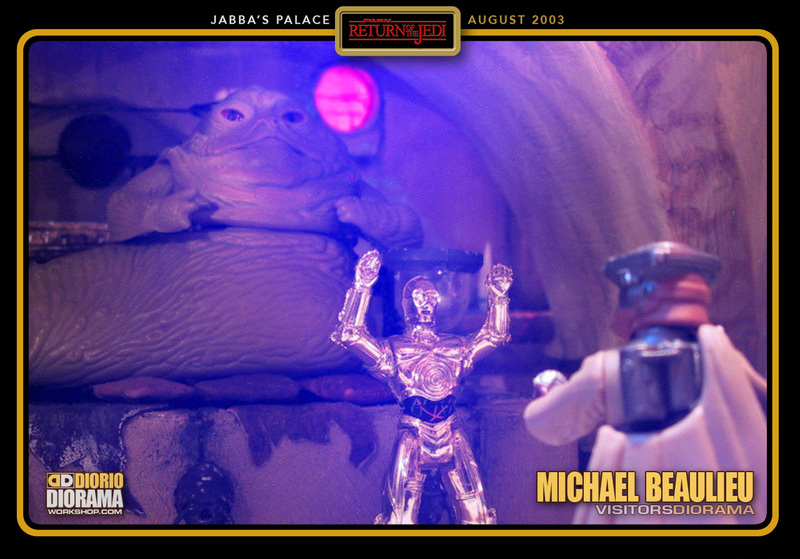 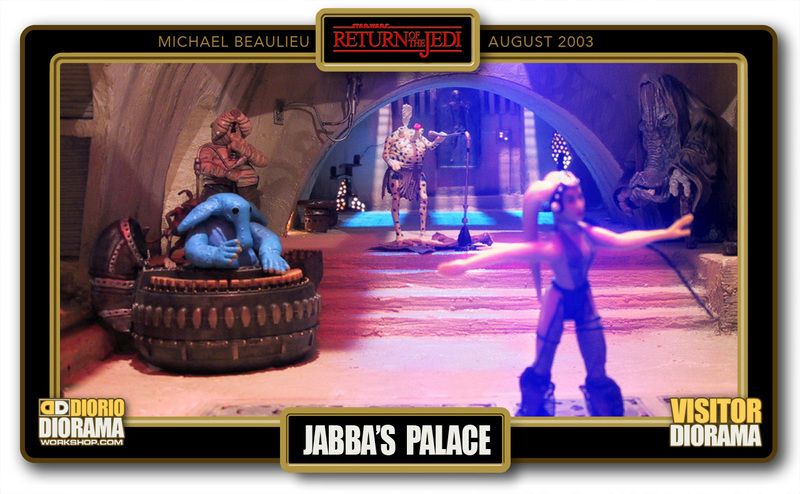 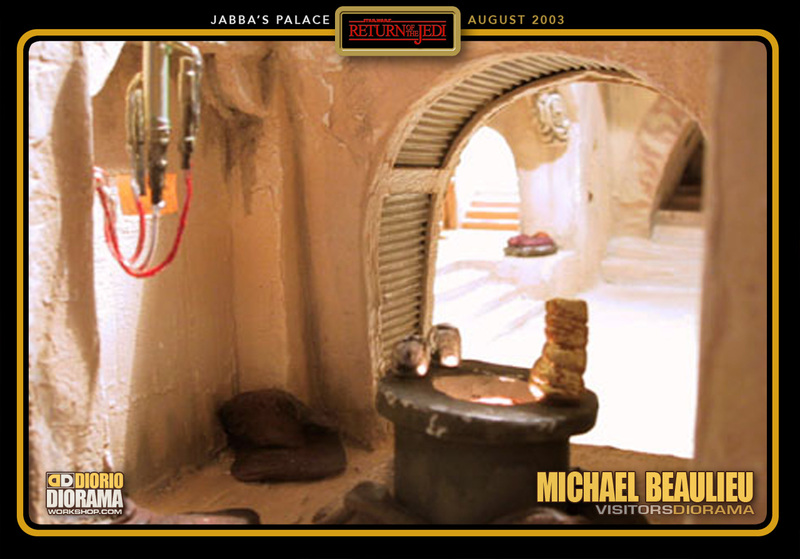 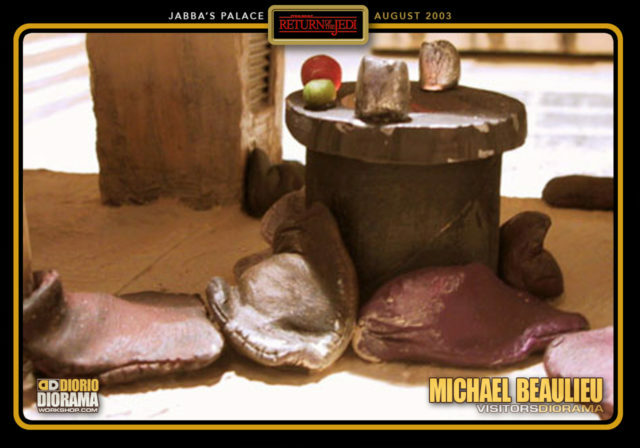 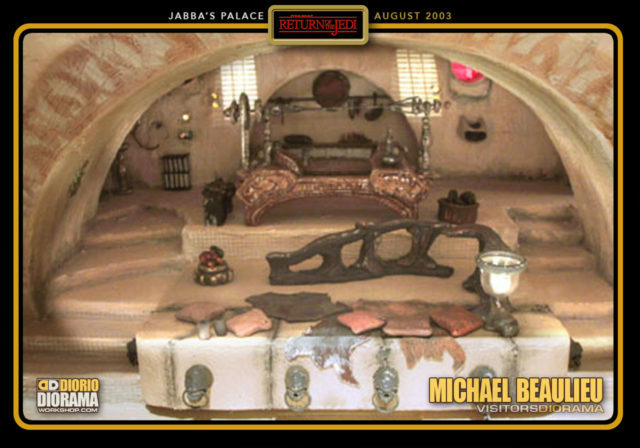 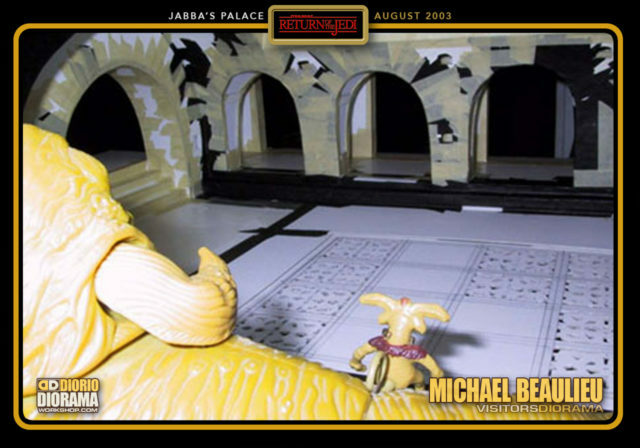 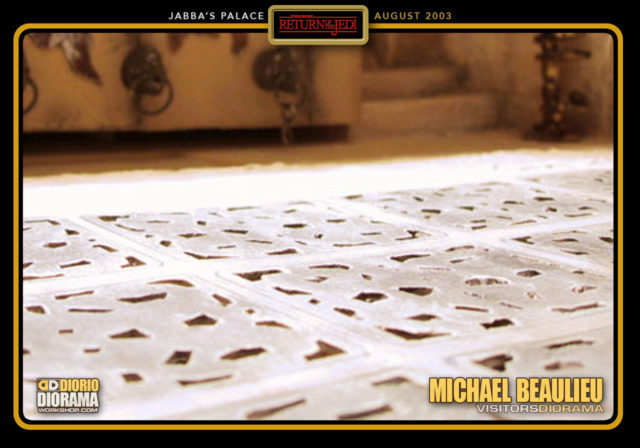 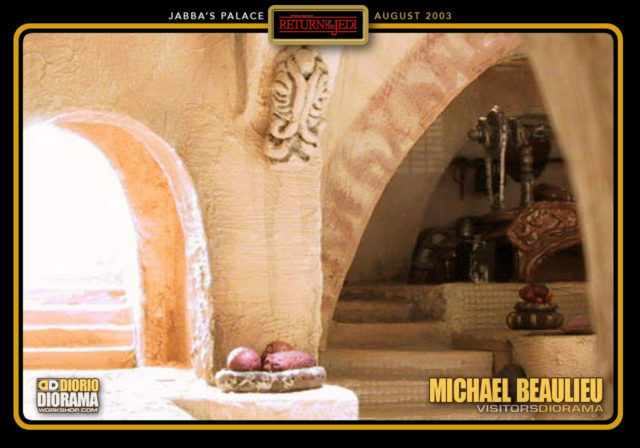 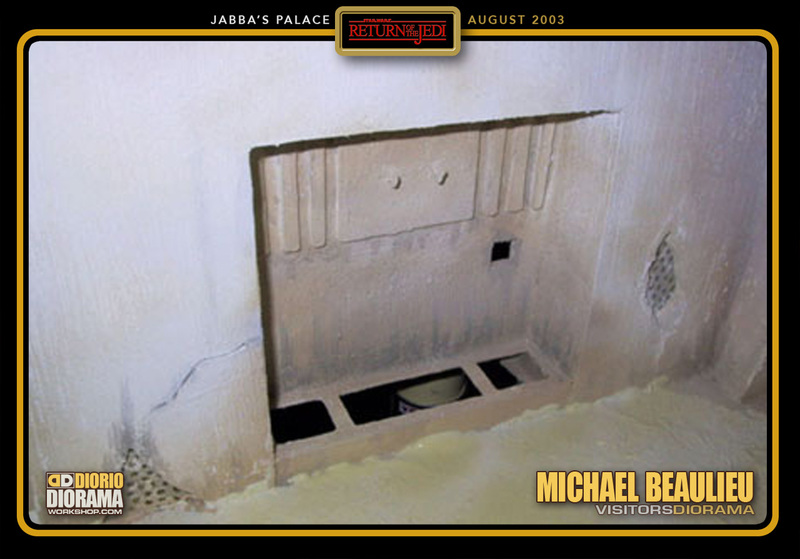 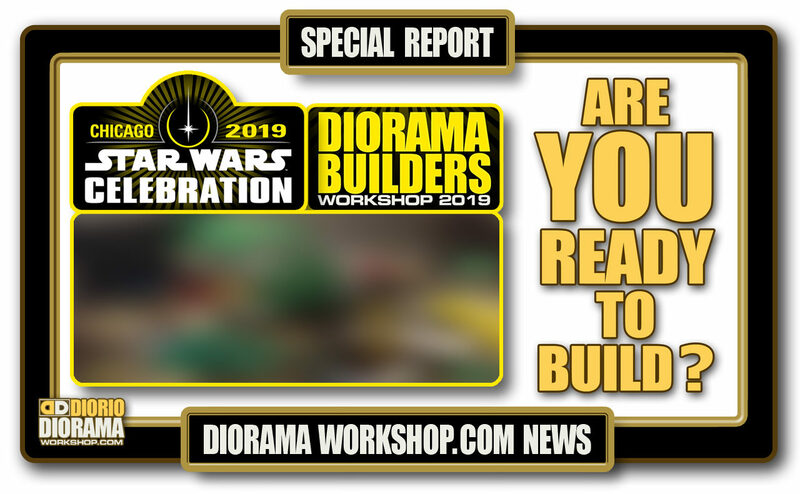 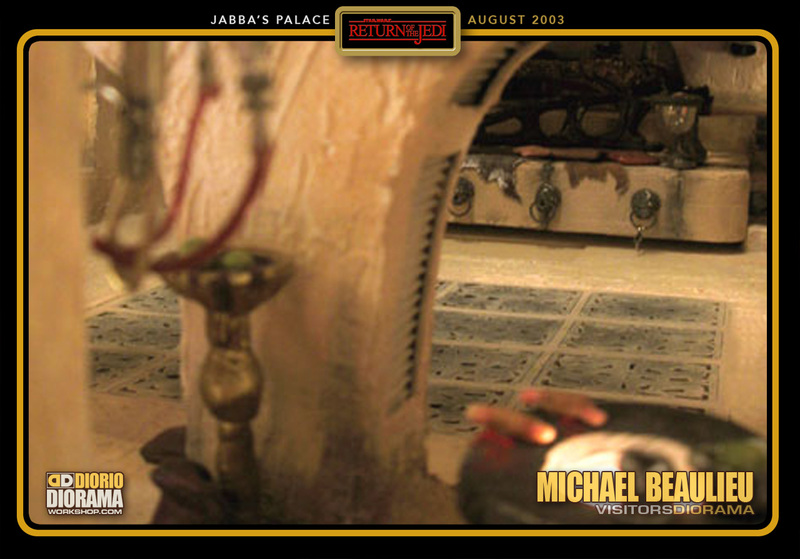 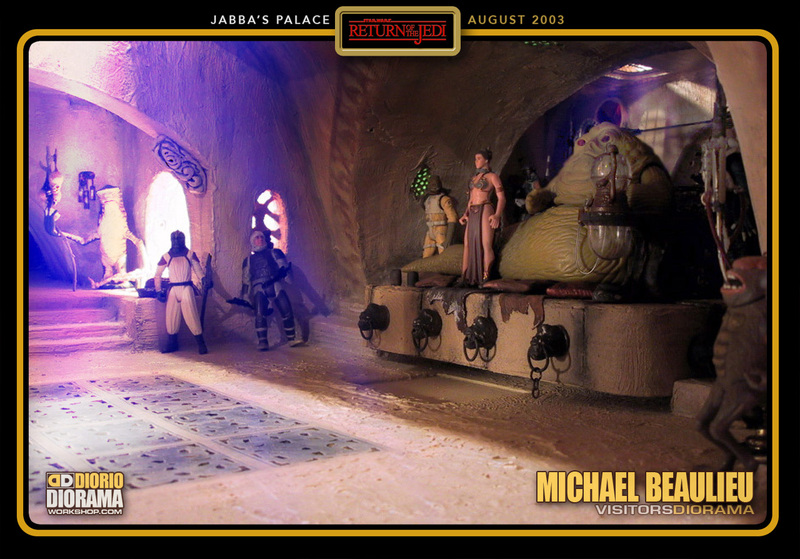 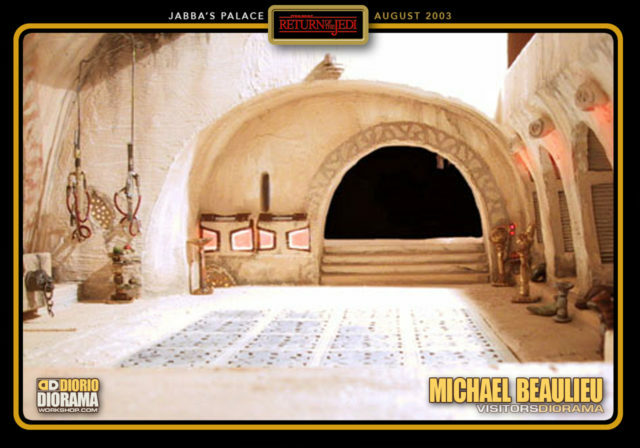 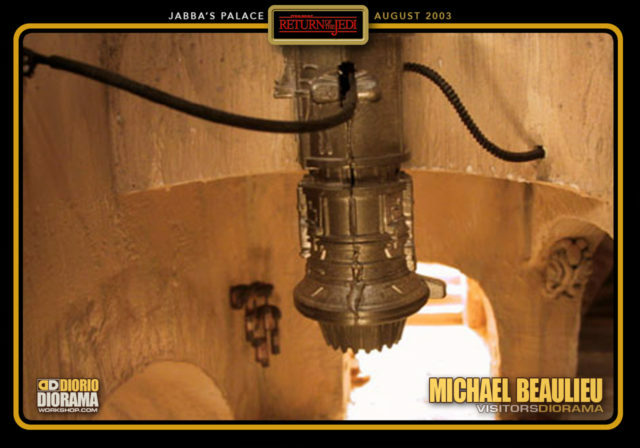 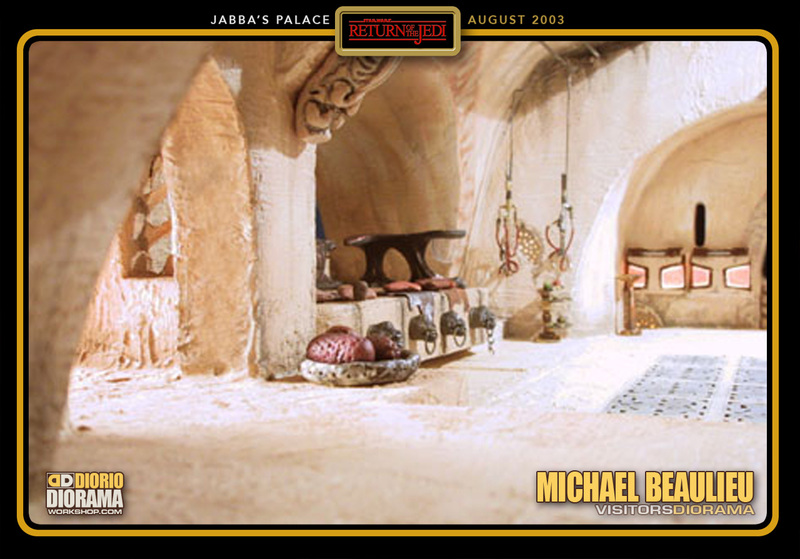 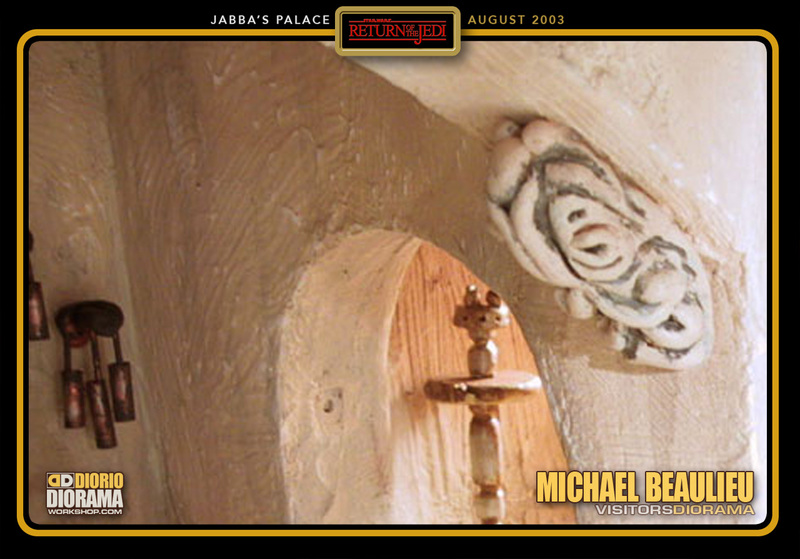 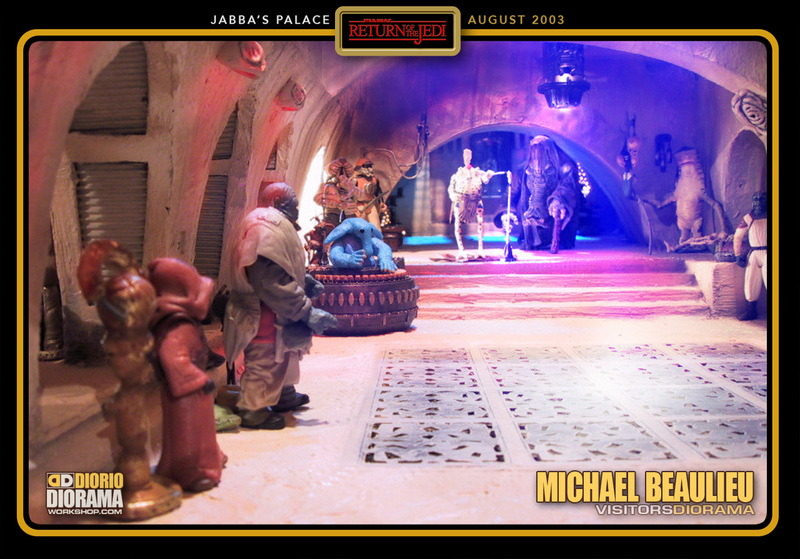 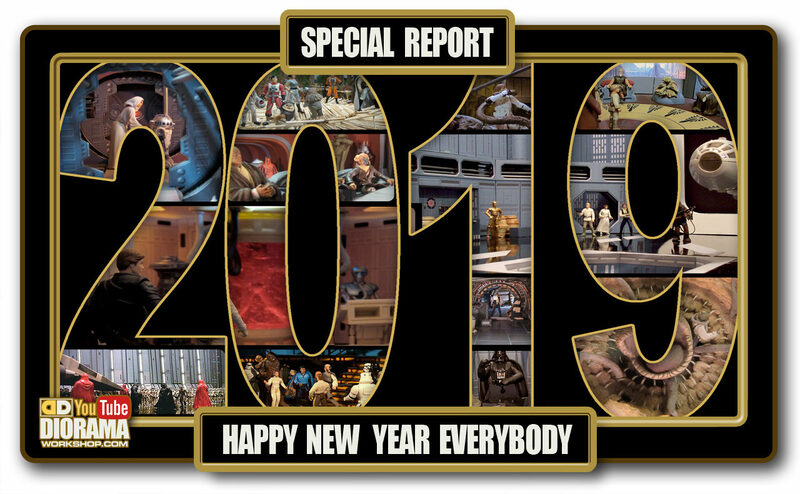 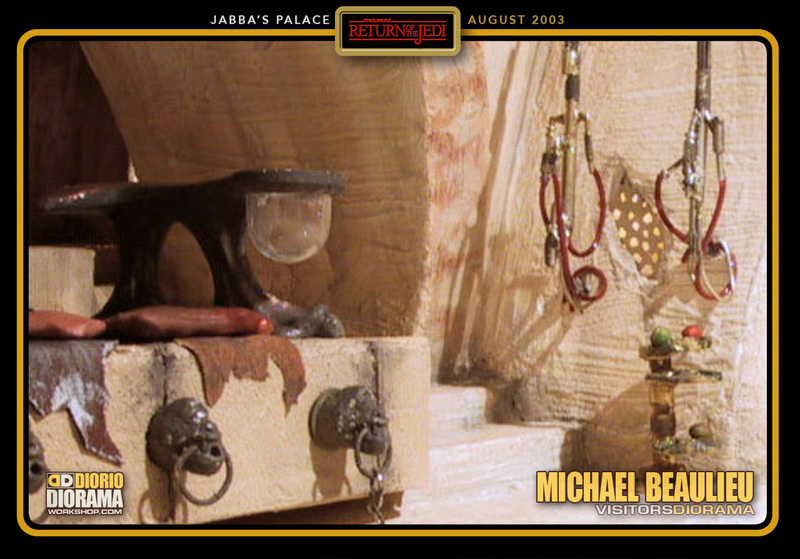 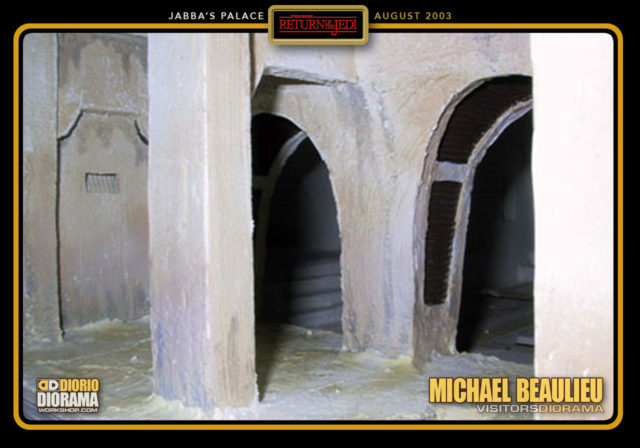 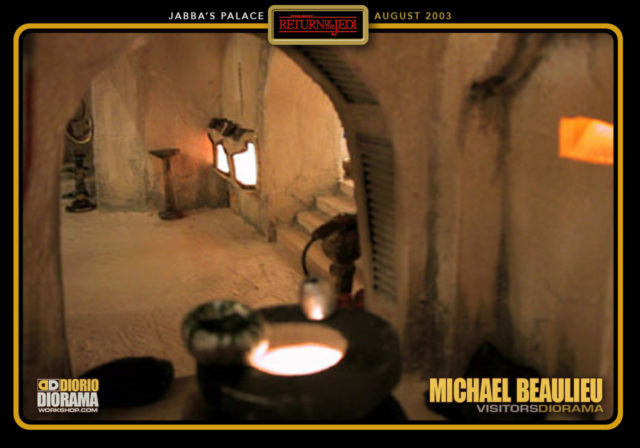 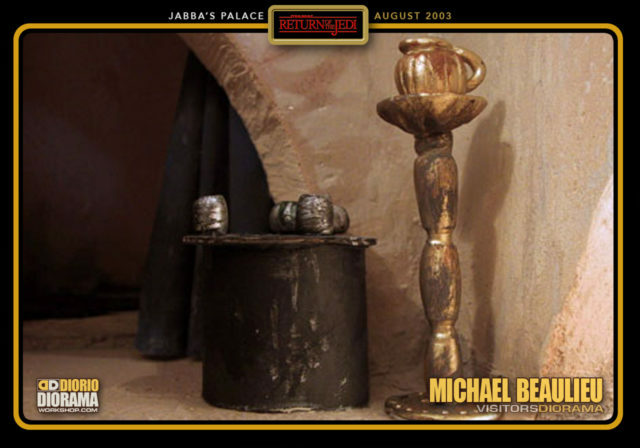 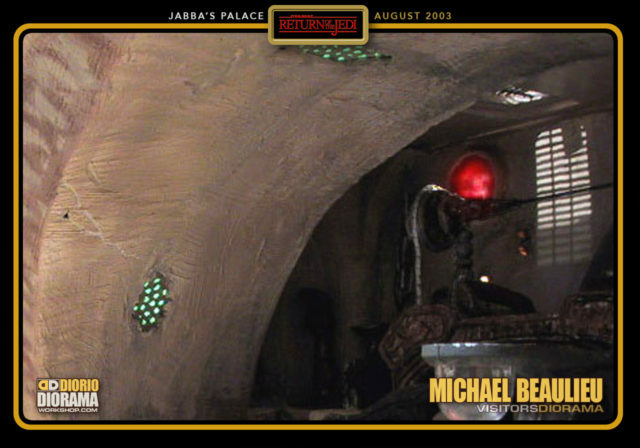 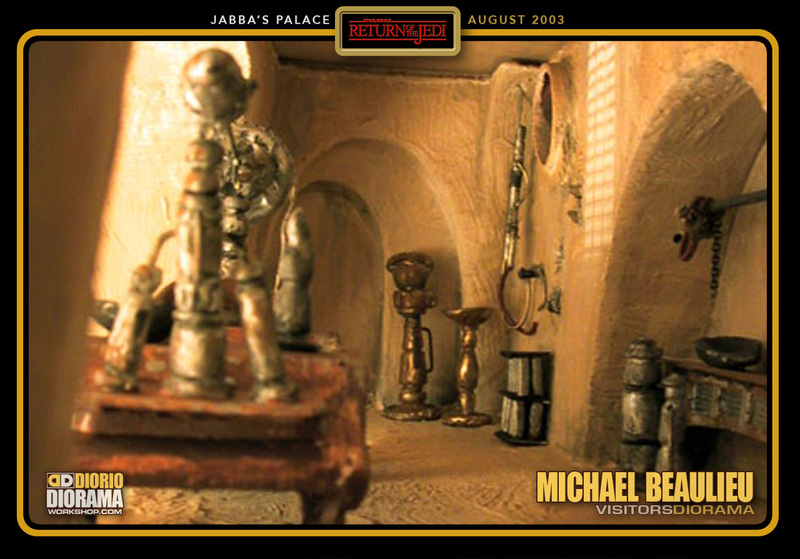 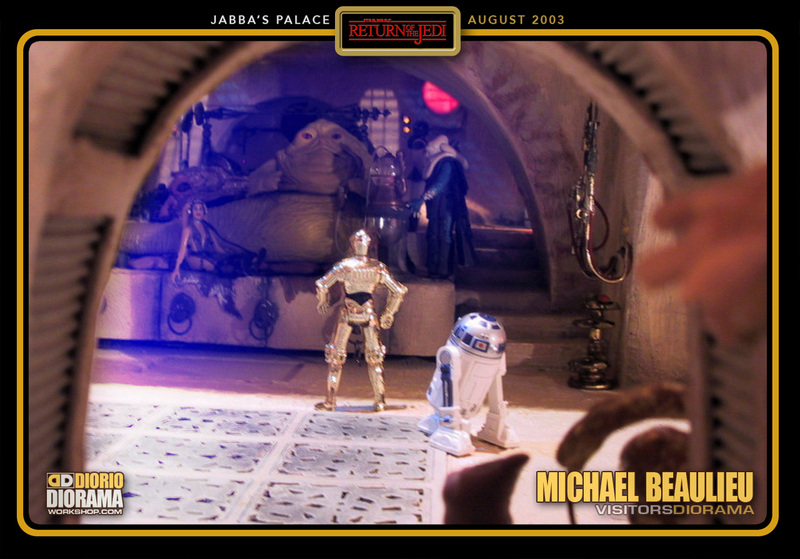 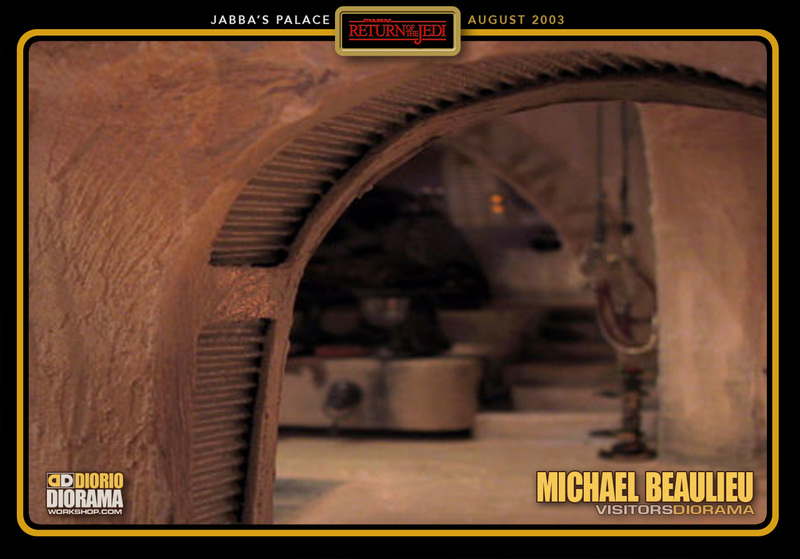 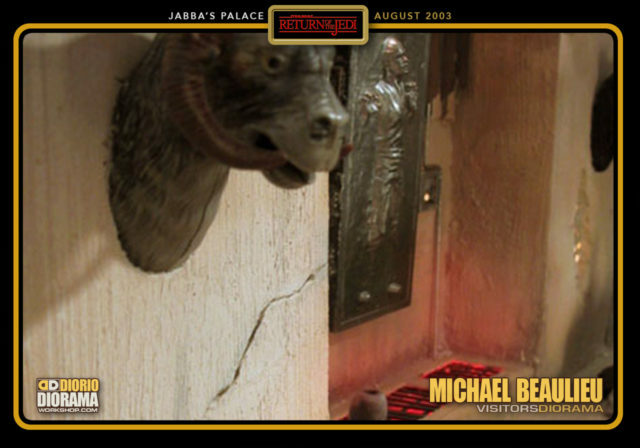 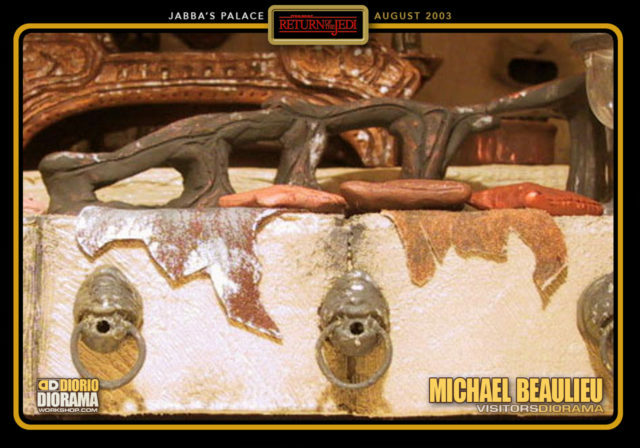 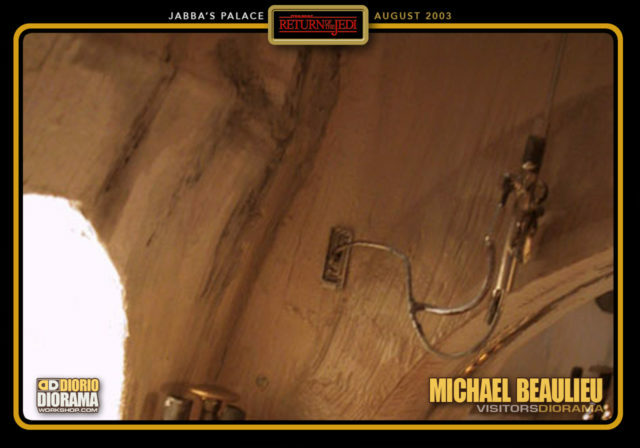 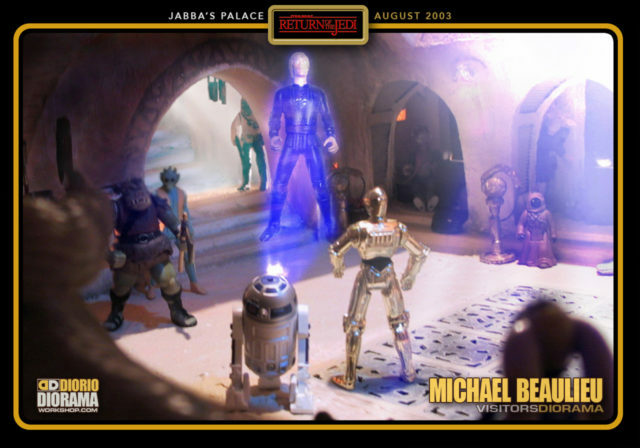 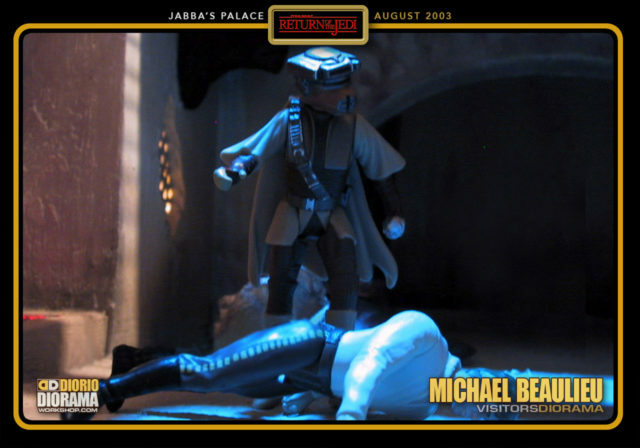 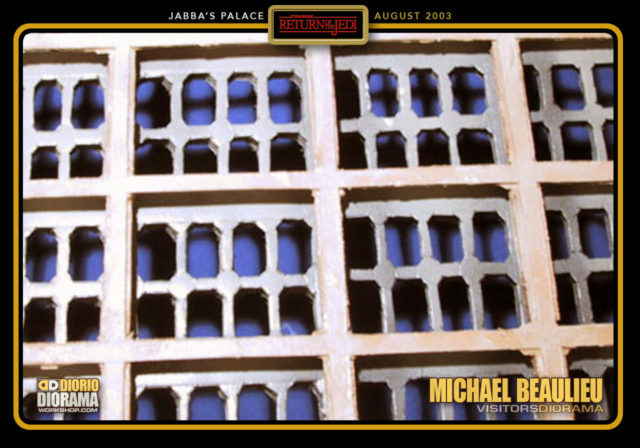 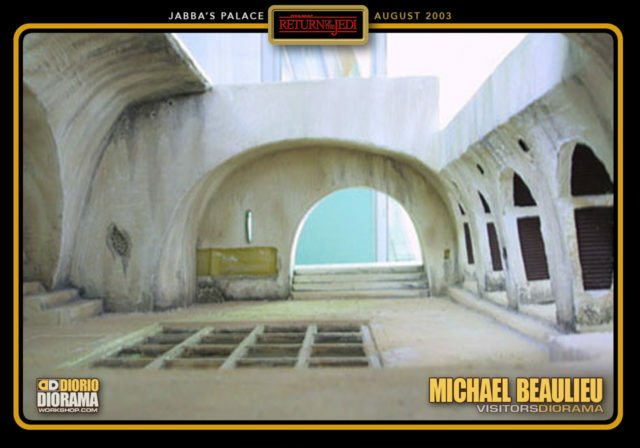 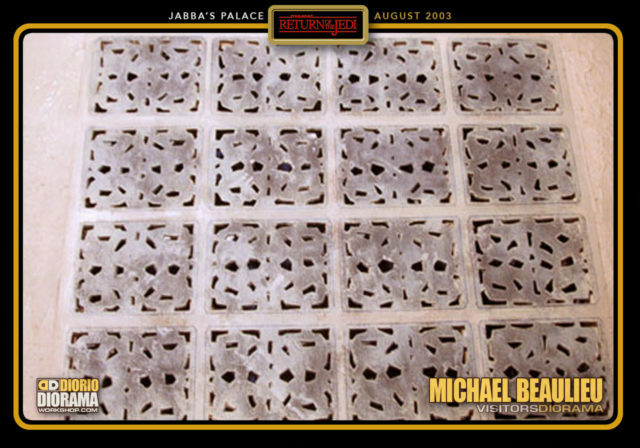 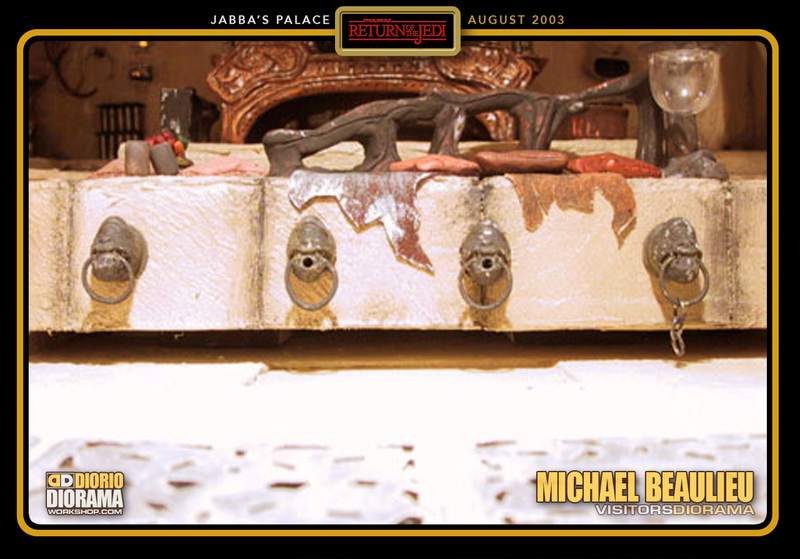 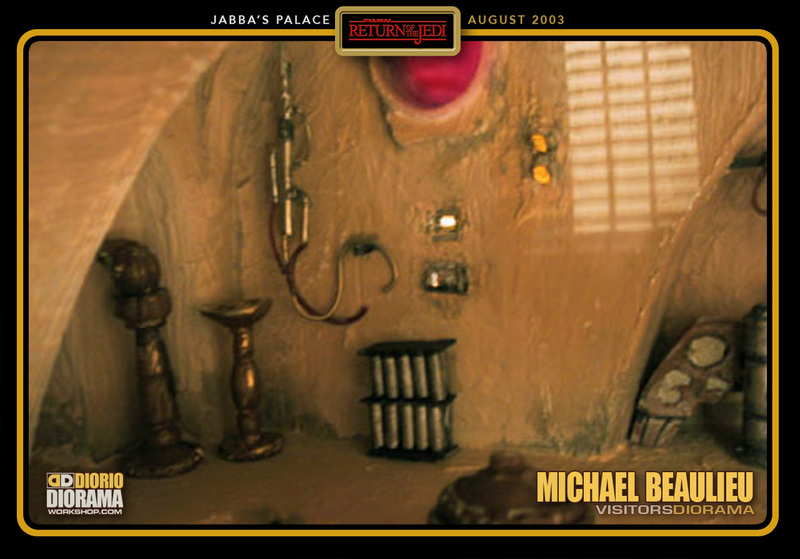 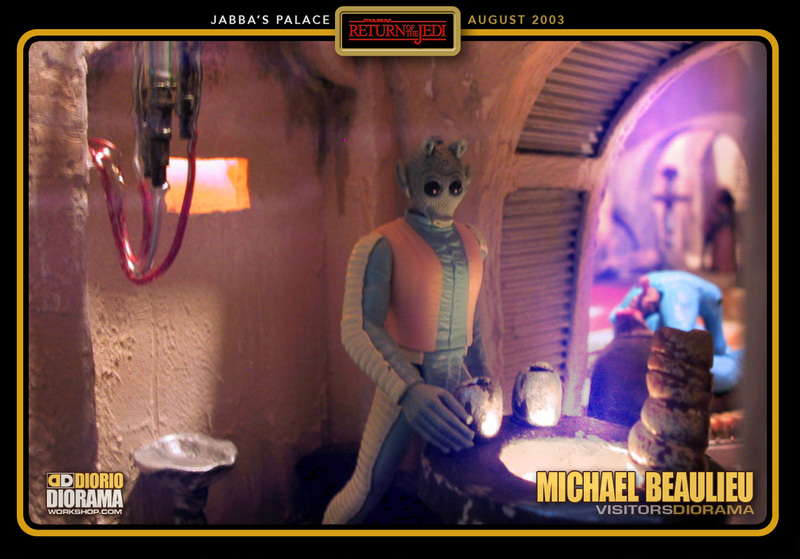 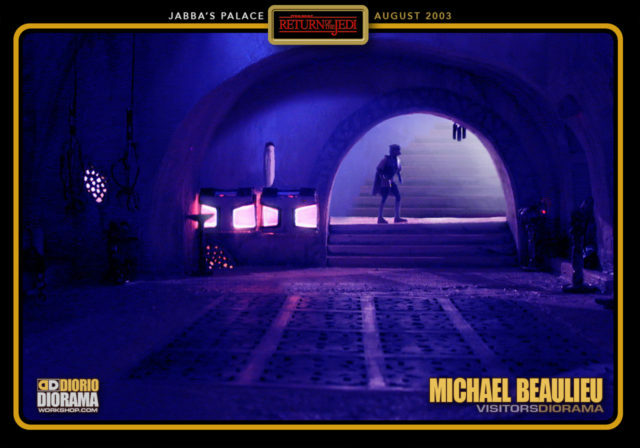 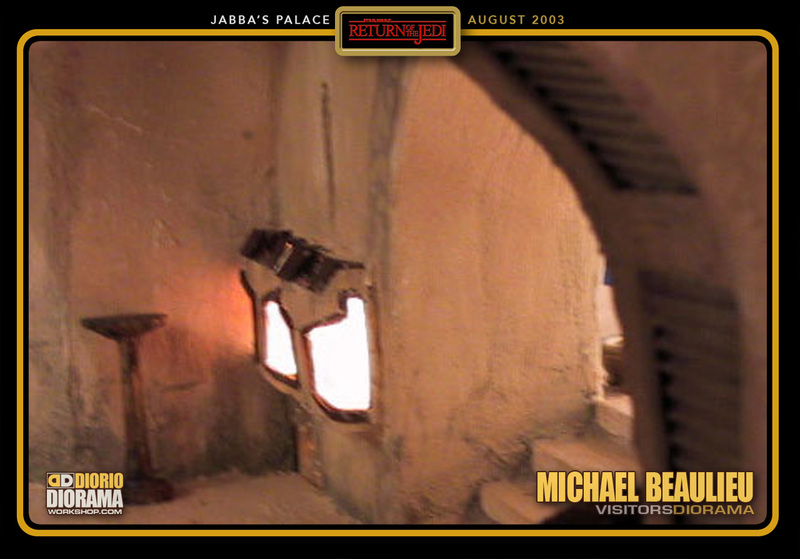 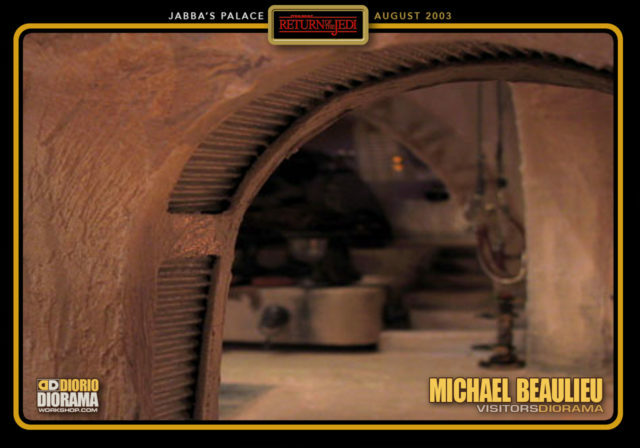 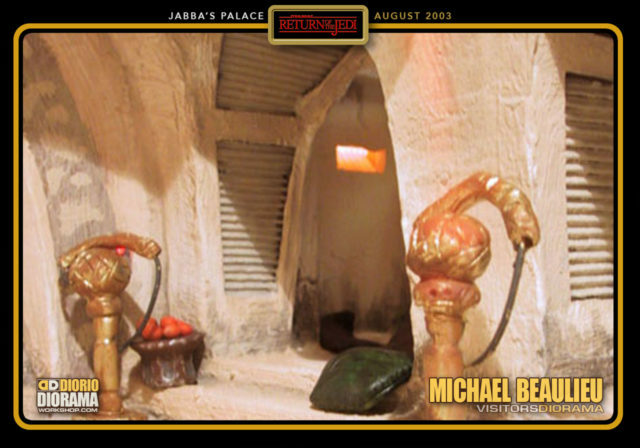 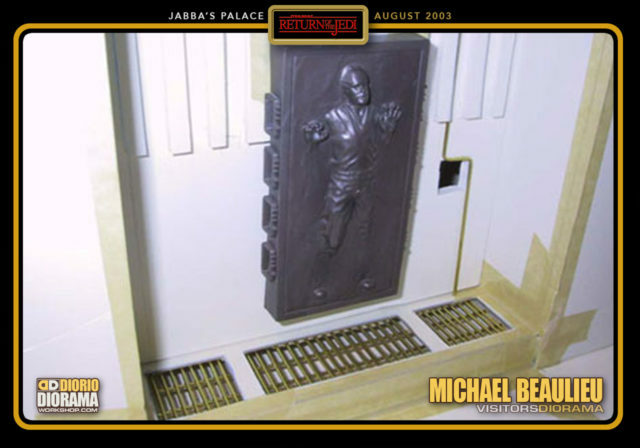 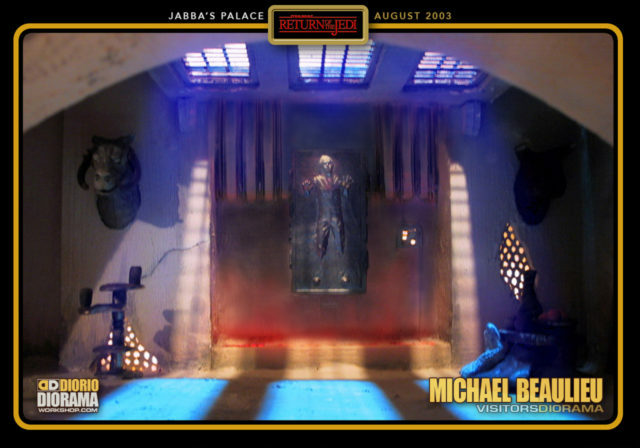 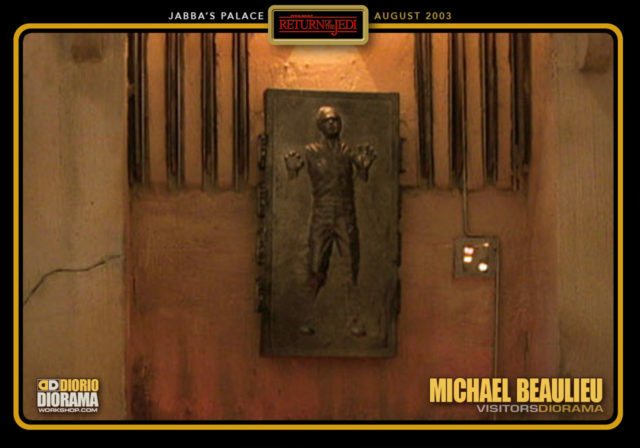 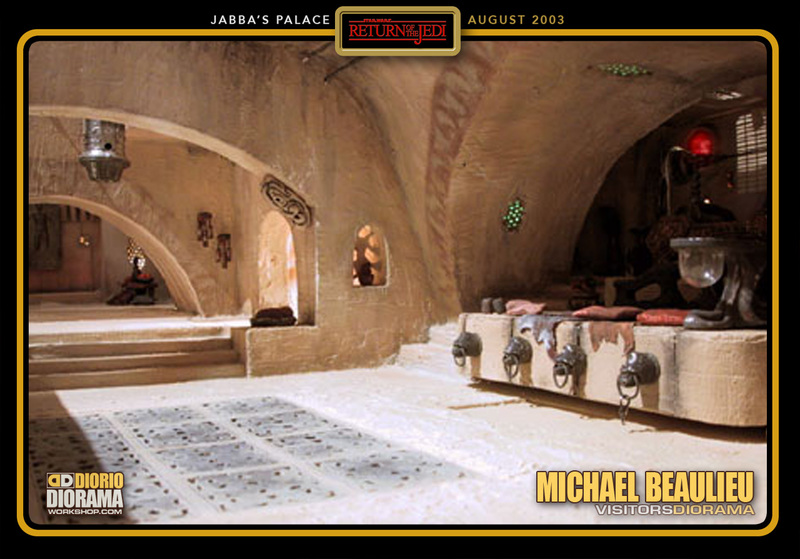 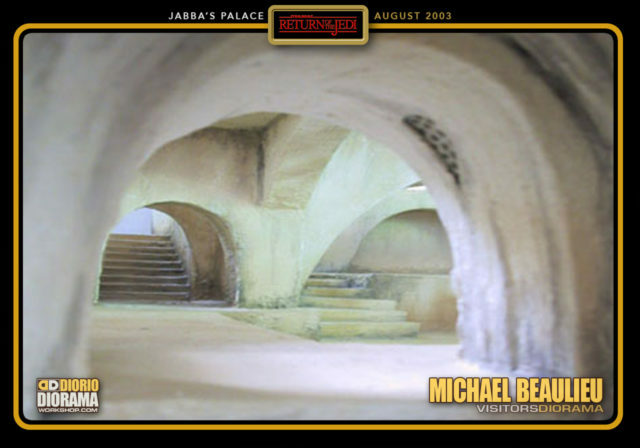 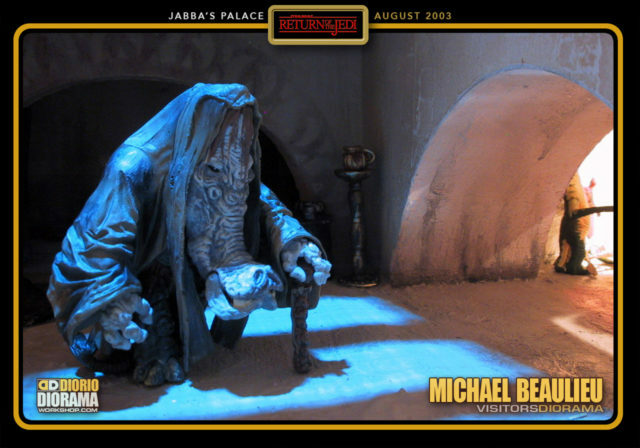 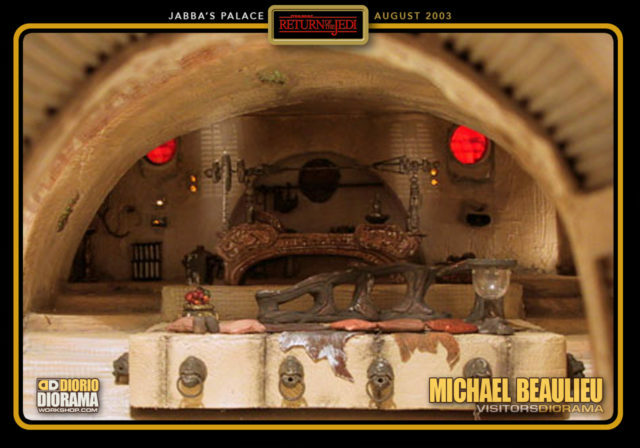 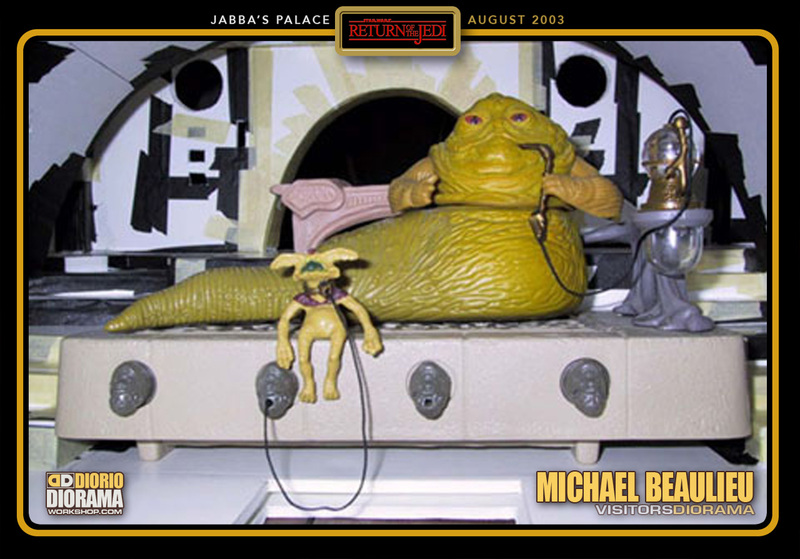 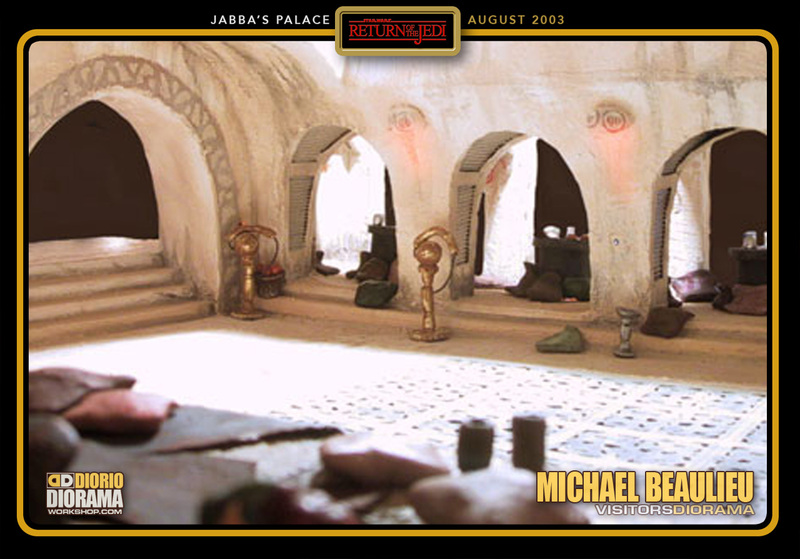 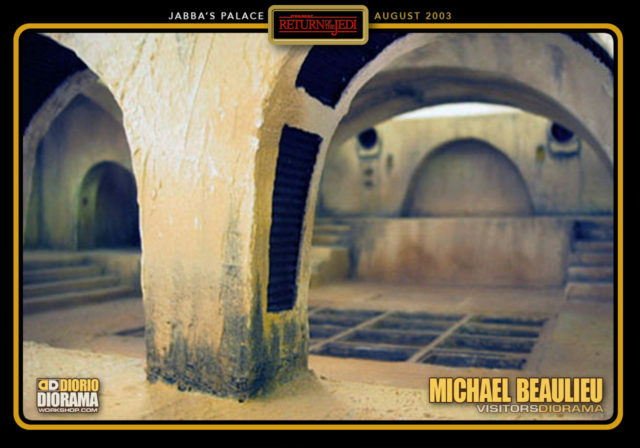 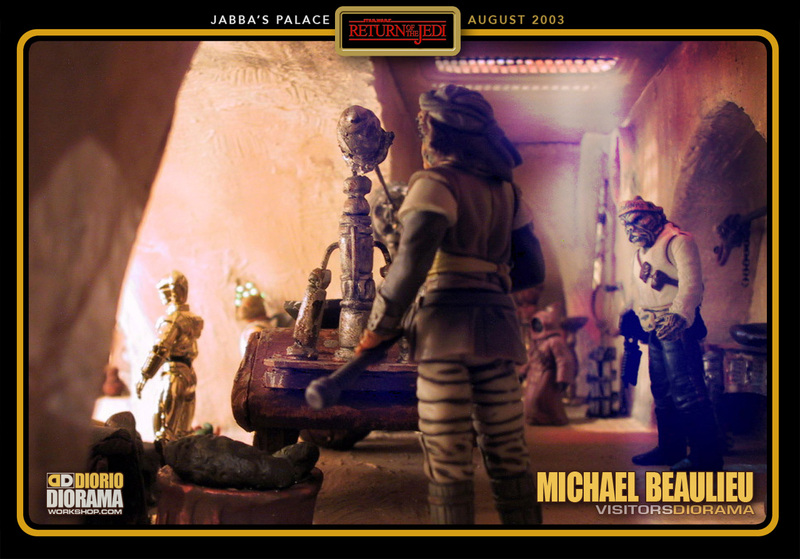 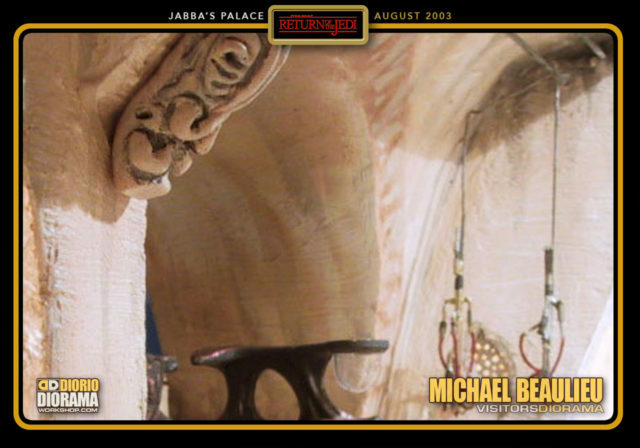 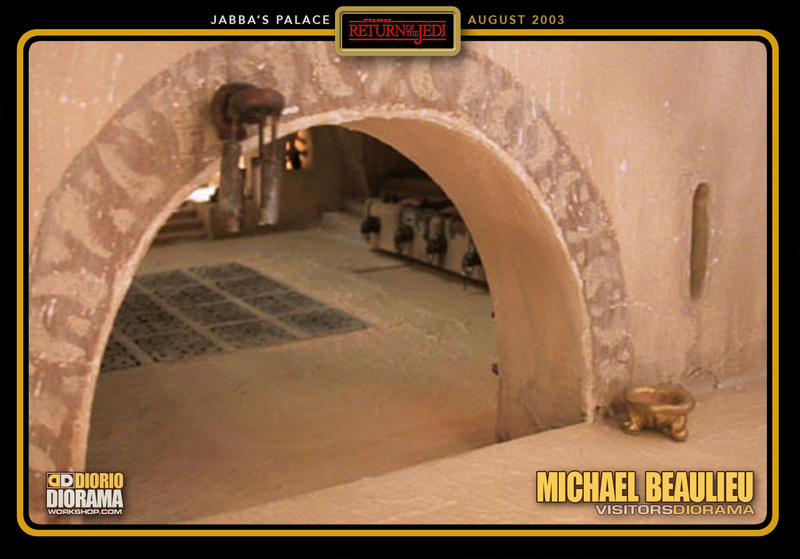 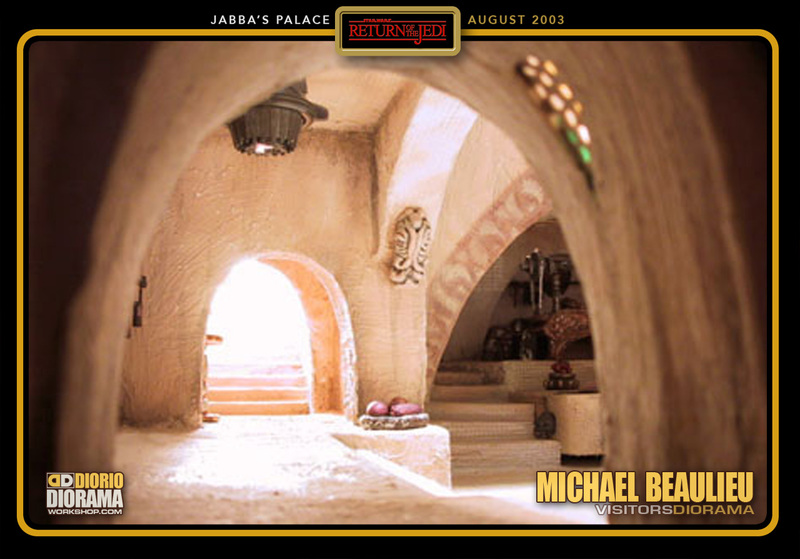 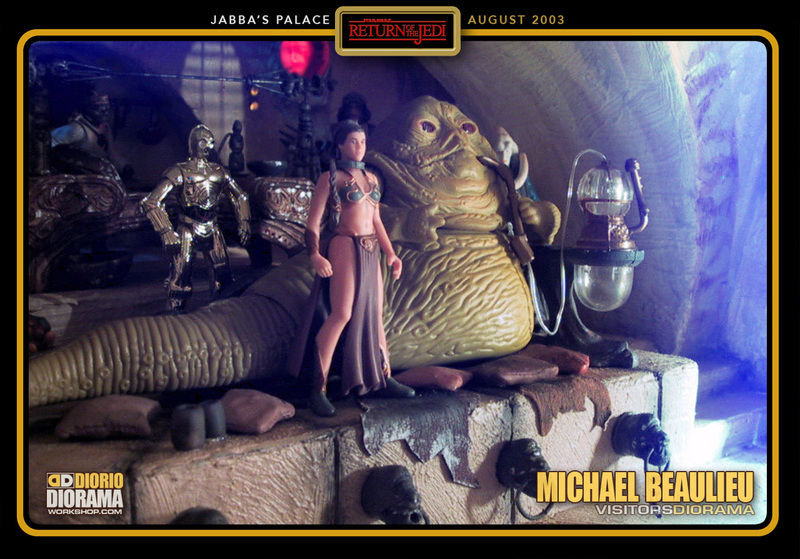 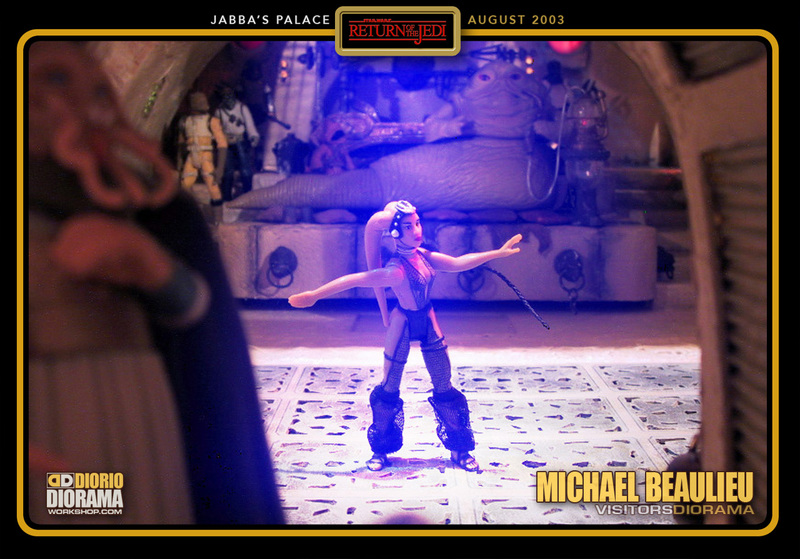 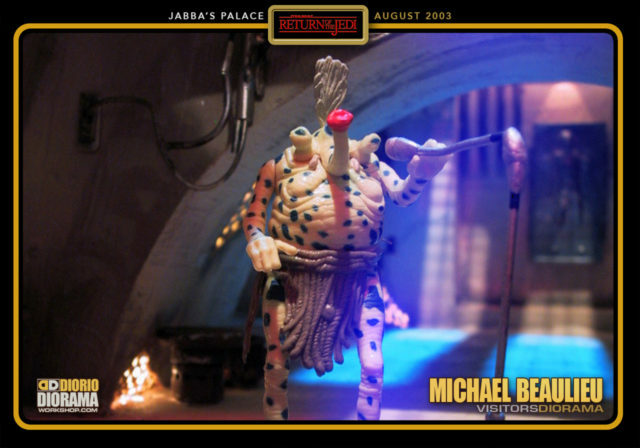 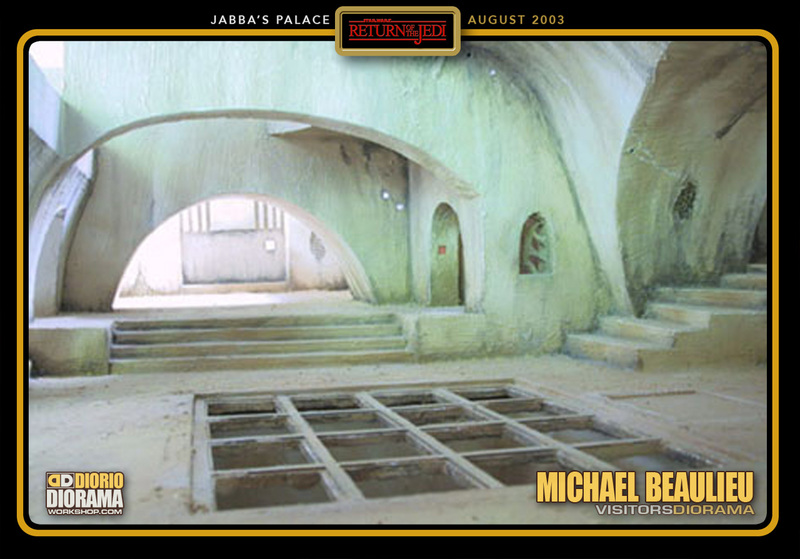 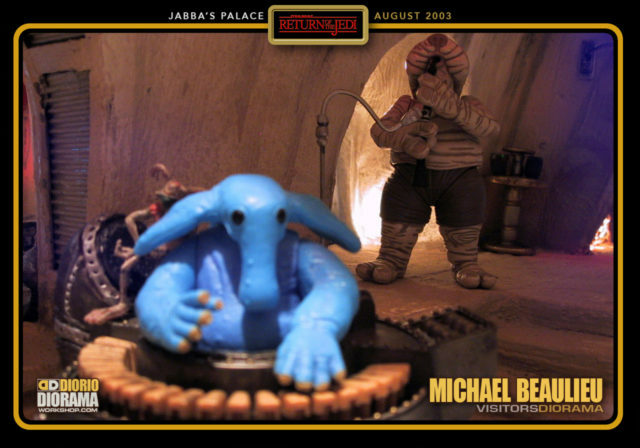 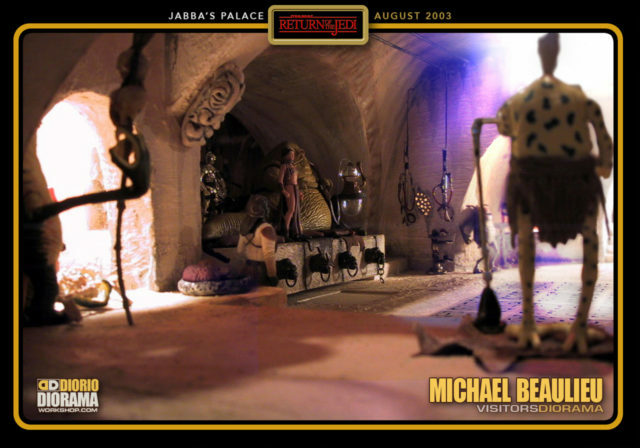 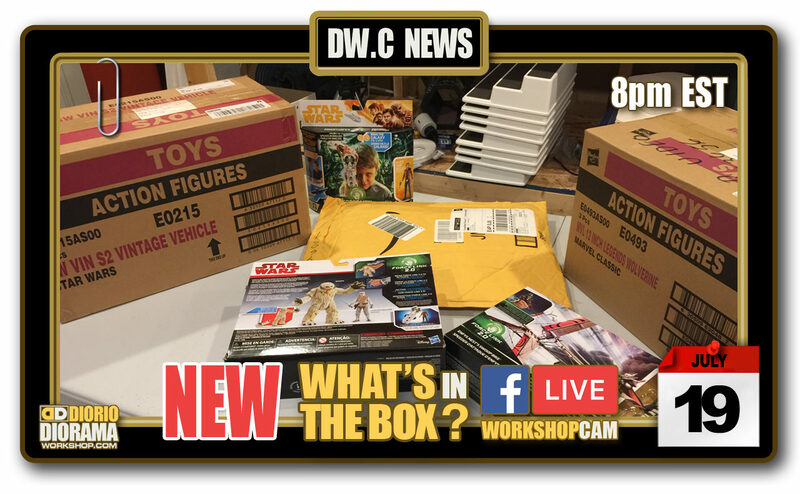 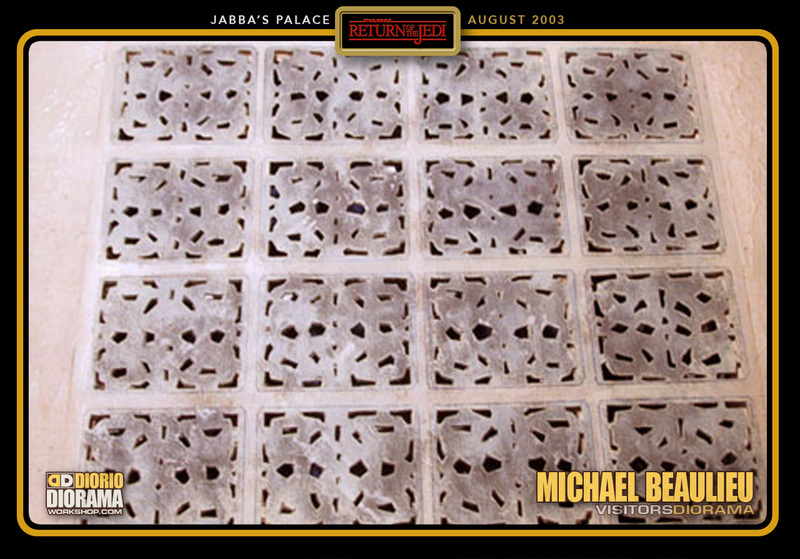 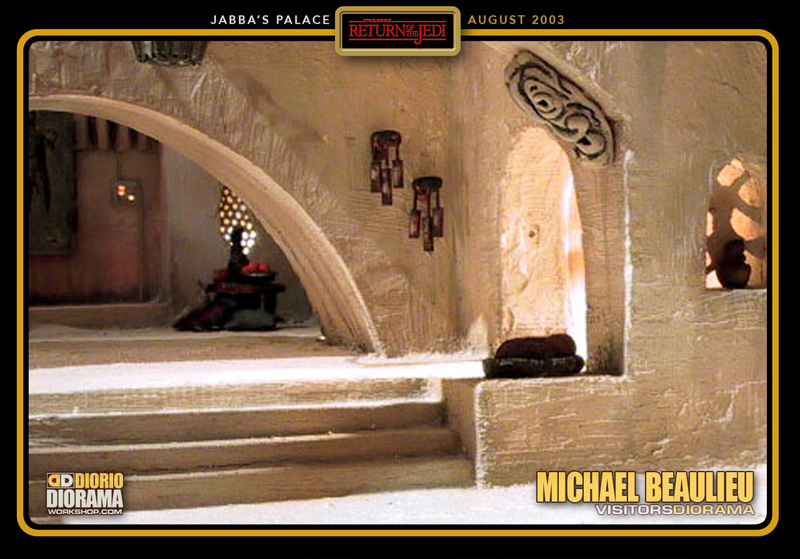 What can I say about Michael’s Diorama except it must be THE BEST – MOST MOVIE ACCURATE Jabba Palace I have EVER SEEN. 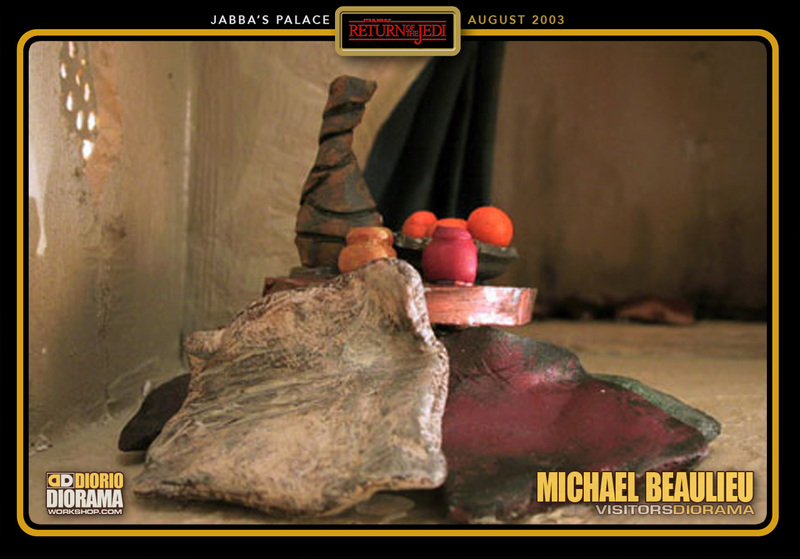 This was originally sent to me on my first site NiubNiubsUniverse in 2002. 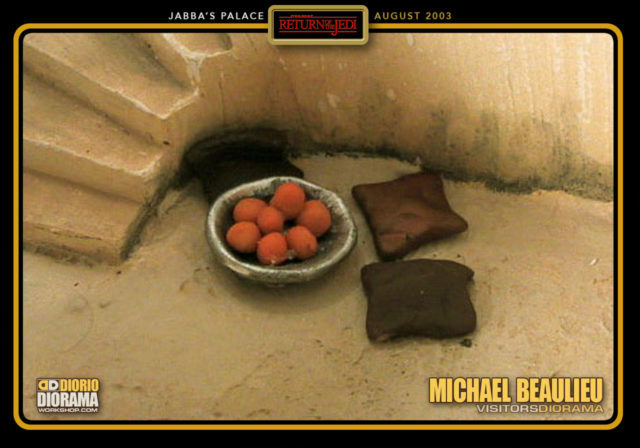 That’s like AGES AGO !!! 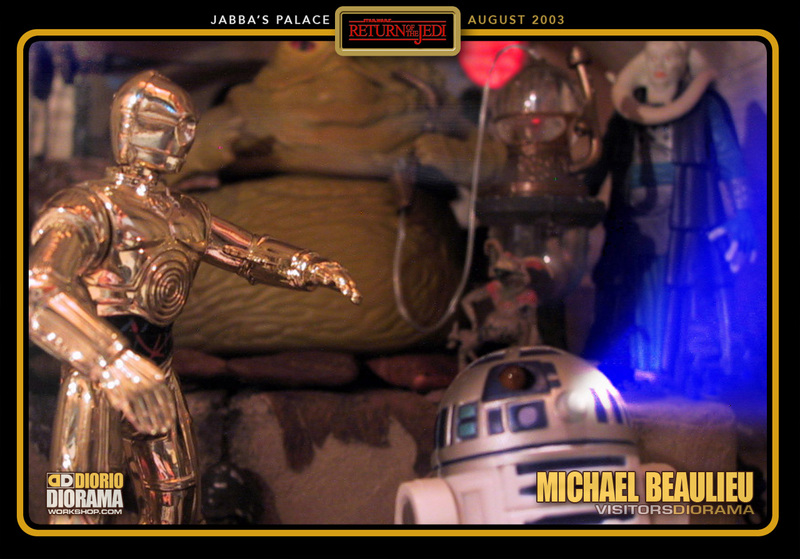 Eventually Michael and I met at ILM of all places. 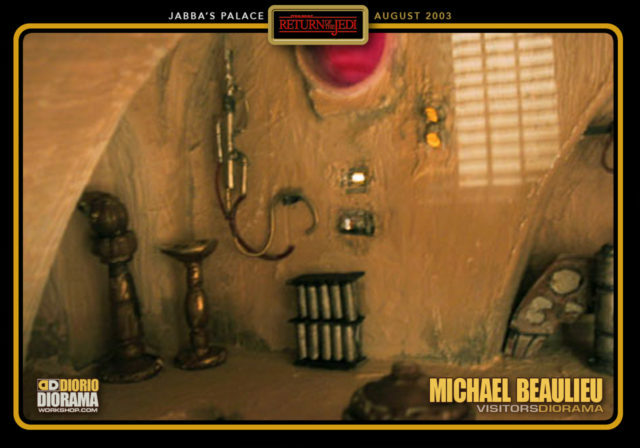 Turns out Michael was an animator and was hired the same year I was as Digital Compositor. 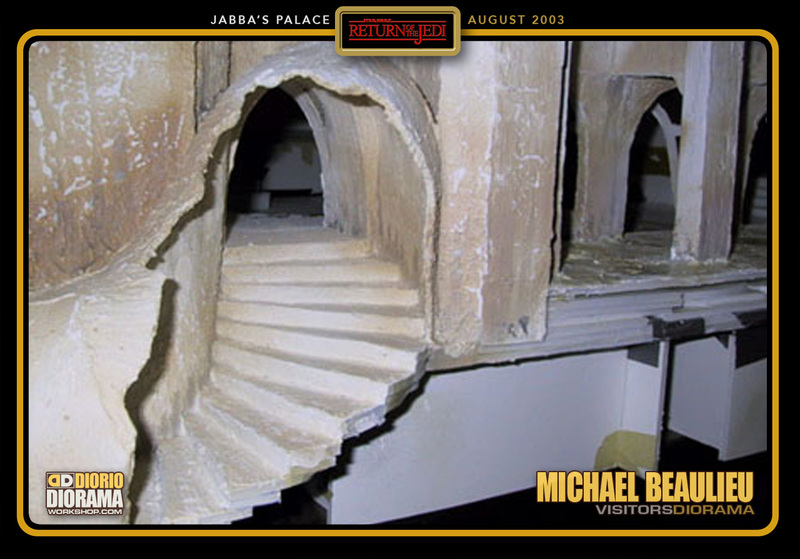 It’s no surprise he ended up there with the eye for detail that he has. 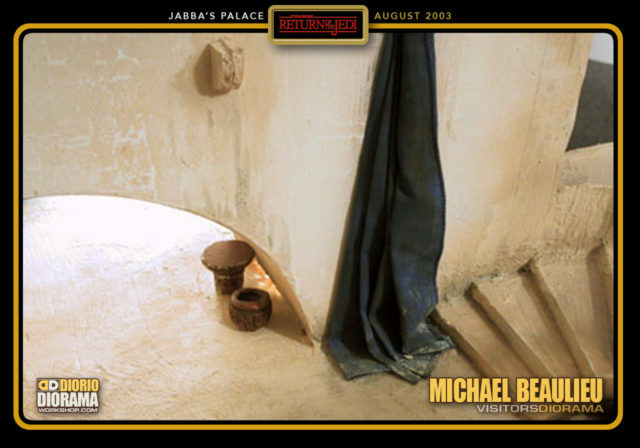 Since then, he has gone up the ladder quite a bit and is now supervisor and you can even see him, briefly, in the LAST JEDI Blu Ray Documentary. 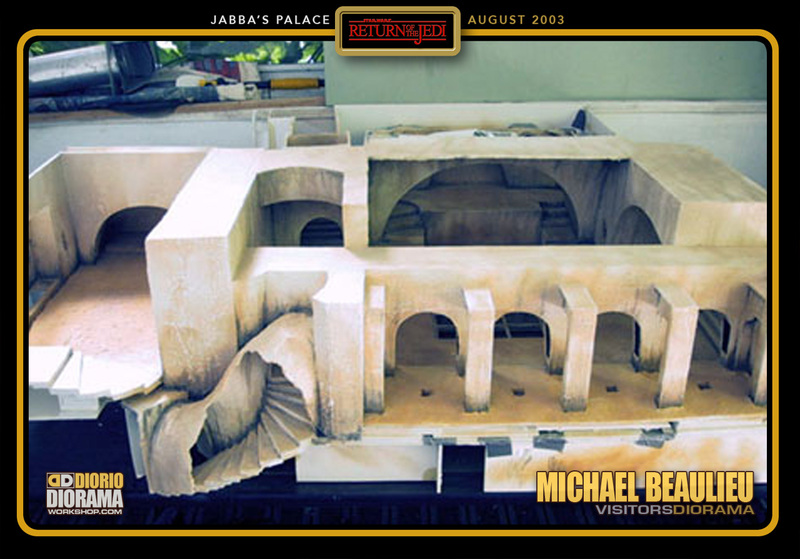 One day when I build , tackle, this beast, I will base my standards on this diorama. AMAZING !!!! 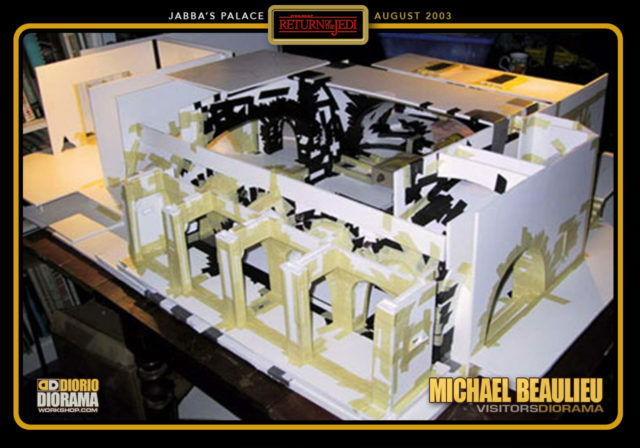 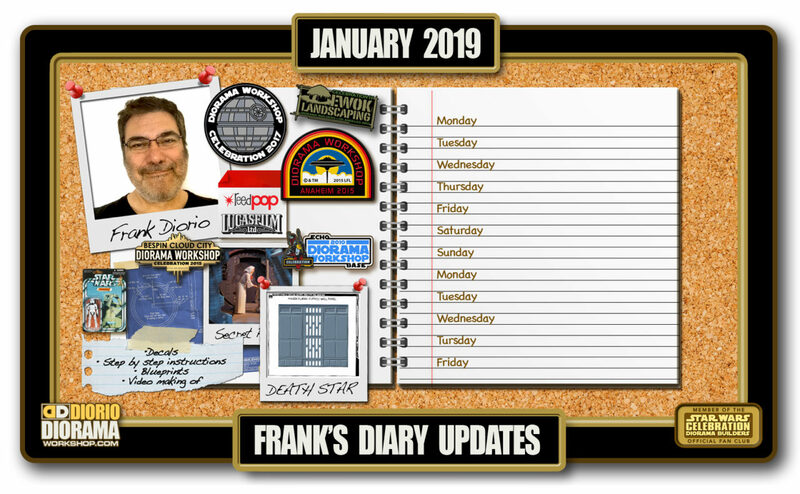 You’re too kind Frank 🙂 It was your diorama’s that inspired me to get building. Tip my hat to you my friend! The original!